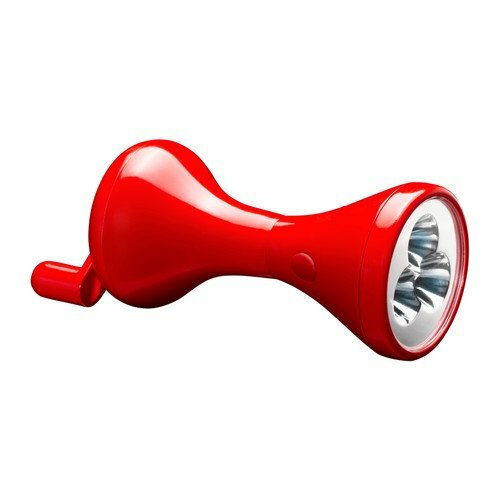 Flashlight tag is a great after-dark game that is fun for the whole family. It has simple rules and requires very little equipment. Staying up late and playing in the dark turns a simple game of tag into an exciting adventure that will be remembered long after your camping trip is done. I know more great flashlight games too. Read on for lots of flashlight fun! 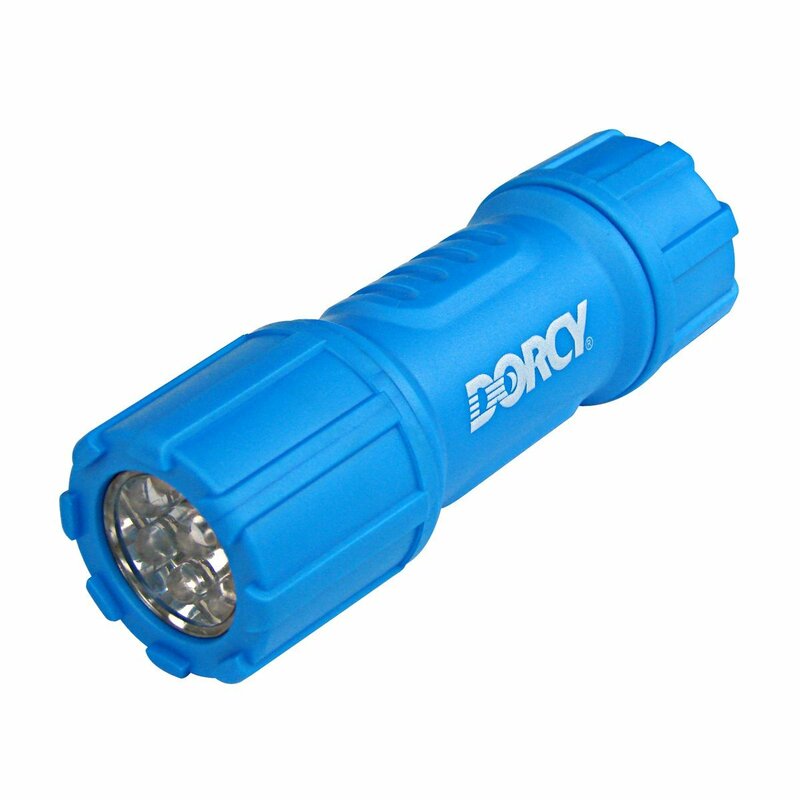 This is a nice sturdy little flashlight. When playing games in the dark you need to be extra careful about safety! Before you begin, make sure that all players know how far they can roam. Decide on a code word to yell, or some other signal that children can use if they feel unsafe or scared. Using the signal brings the game to a halt. Never play flashlight games - or any running games - near a campfire or where there is traffic. Choose one person to be "It". "It" closes eyes and counts to 50. "It" opens eyes, turns on the flashlight and searches for the others, who can continue to run around. When someone is found, "It" shines the flashlight directly at that person and calls out that person's name. The found person then becomes "It". 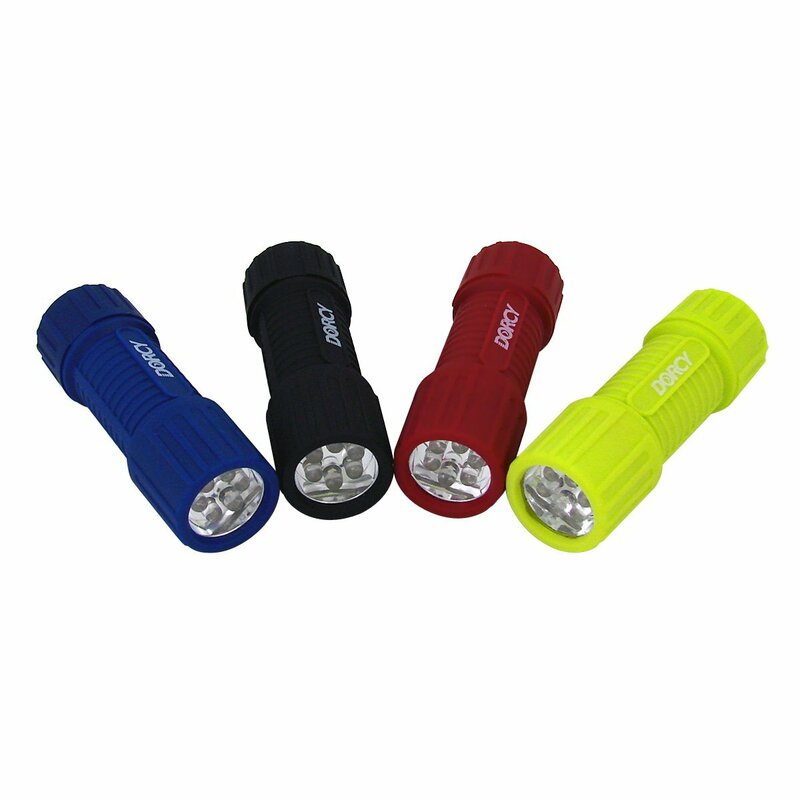 In a large group, have several "Its", each with a flashlight. Here's an inexpensive way to give a flashlight to each person. Choose one person to be the firefly. The firefly gets the flashlight. The rest of the players line up at one end of the open area. The firefly (with the flashlight turned off) runs away from the others, counting silently to 60. The firefly flashes the light quickly, on and off. The rest of the players try to catch the firefly. The firefly runs away - but continues counting, and must flash the light every 60 seconds. Whoever catches the firefly takes the flashlight and becomes the next firefly. 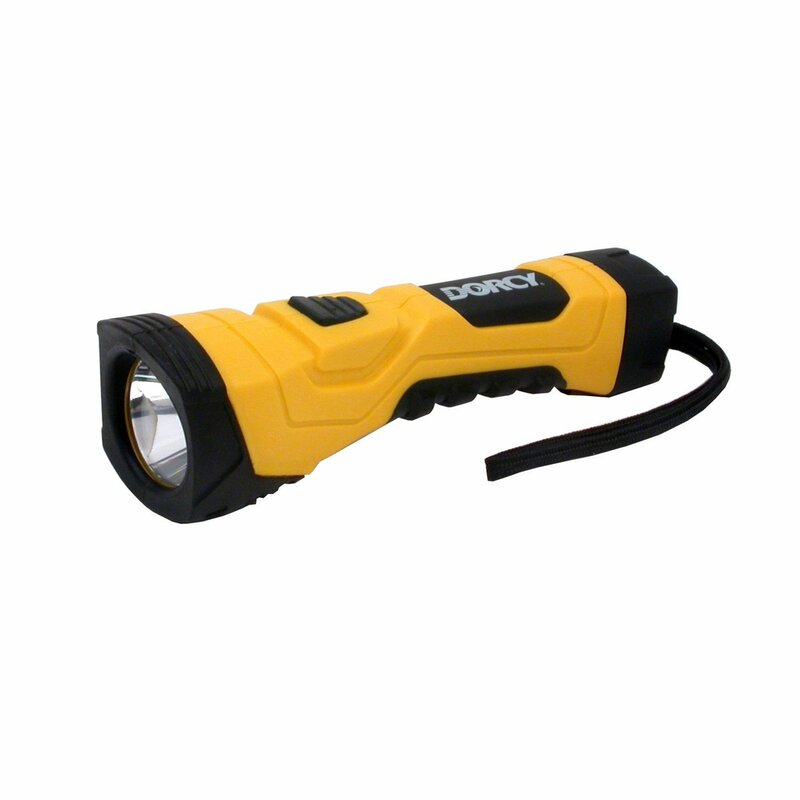 A yellow flashlight is easier to find in the dark if you set it down! Choose one person to be the museum tour guide and one to be a tourist. Everyone else is a statue. The tour guide gets the flashlight. In the dark, each statue strikes an interesting pose and "freezes". The tour guide turns on the flashlight and leads the tourist from one statue to another. As each statue is visited, the tour guide shines the light on the statue and describes the statue to the tourist, making the descriptions as comical as possible to try to get the statue to laugh or move. The statue tries to stay perfectly still. If the statue laughs or moves while in the flashlight beam, s/he is "out". The tour guide should listen carefully. If there is a sound of movement, the guide can quickly shine the beam in that direction and try to get that statue "out". The last remaining statue becomes the next tour guide. A hand-cranked flashlight needs no batteries! 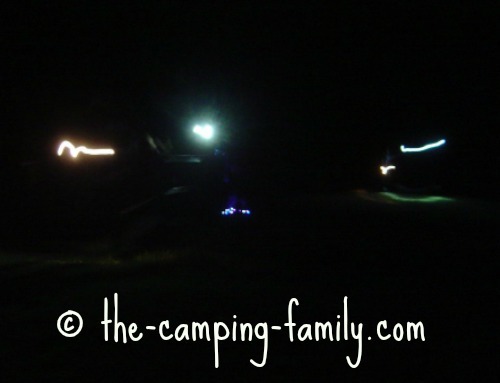 Now that you know how to play flashlight tag, visit this page for more fun camping games. If you are planning a camping trip, please visit The Camping Family home page. You'll find lots of great camping ideas!